To dog owners, their pets are regarded as cherished members of the family, and they care about their health and well-being as they would that of a human. And, as with humans, animal illness is often traced to a poor diet, commonly caused by processed food made with preservatives. 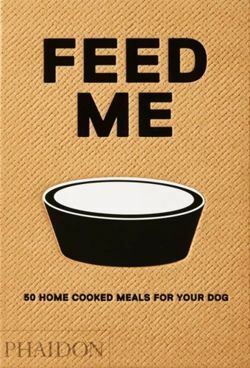 With 50 easy-to-follow recipes for nutritious and quick-to-prepare meals adjustable for dogs of different weights, sizes, breeds, and activity levels, this book takes the mystery out of what you should feed your dog with simple recipes that follow healthy guidelines. This book includes easy guides for portion sizes for all breeds, perfect for multi-dog households; information on vitamin supplements that will keep dogs healthy and happy; and a varied selection of recipes to batch-cook and freeze - ideal for those with busy lives. Feed Me is illustrated throughout by Kevin Waldron, author of Phaidon's children's title, Harold's Hungry Eyes.